The Micro-Measurements® brand of Vishay Precision Group, Inc. (NYSE: VPG (News - Alert)) (www.micro-measurements.com), industry experts in the design, development, and manufacture of resistive-foil sensors for high-precision strain, high-stress and force mechanism measurements, today introduced the W2A Series - IPX8S rated, waterproof strain gages that provide protection in applications where there is exposure to water. As moisture is the most common cause of field installation failures, the W2A provides long-term defense from water-exposure, resists harmful chemicals, and allows for immediate and thorough protection in field environments. Reducing the complexity involved in strain gage installation, the W2A series comes with built-in pre-attached leadwires that require no additional sealing protection and significantly shorten strain gage installation process and time. Micro-Measurements, a Vishay Precision Group, Inc. (VPG) brand, is dedicated to the development, manufacture, and marketing of resistive-foil sensors for high-precision strain measurement. Micro-Measurements offers a full complement of strain gages, PhotoStress® equipment and coatings, data acquisition systems, and supplies necessary to obtain accurate, reliable stress data. Our products are used throughout the industrialized world - both in the practice of stress measurements analysis and as the sensing elements in a wide variety of transducers for measuring physical variables (weight, force, torque, pressure, etc.). More information about Micro-Measurements is available at www.micro-measurements.com. Vishay Precision Group, Inc. is an internationally recognized designer, manufacturer and marketer of: components based on its resistive foil technology; sensors; and sensor-based measurement systems specializing in the growing markets of stress, force, weight, pressure, and current measurements. VPG is a market leader of foil technology products, providing ongoing technology innovations in precision foil resistors and foil strain gages, which are the foundation of the company's force sensors products and its weighing and control systems. The product portfolio consists of a variety of well-established brand names recognized for precision and quality in the marketplace. 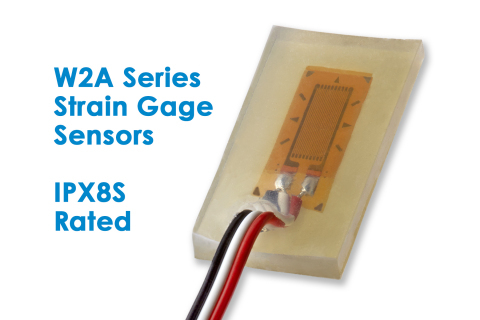 To learn more, visit VPG at www.vpgsensors.com.